The society of Philippines Republic has faced complex of international, economic, technological and culture challenges.It directly diminished the Native-Ilokano, Native-ARMM and Realist-Filipinos aspect of moral,education,and life-approach. Few kind countries could understand and accept Native-Ilokano compelling initiative, but some of its compatriots and fellows from neighboring countries likely enjoy advantage of cosmic. The depth-knowledge of Native-Ilokano,Native-ARMM,Native-Realist still consequently face pressures from both of their country men and foreign nationals. Republic of the Philippines Senate Motto; 24 Stars,“Law Serves Peace, Let it be done”. 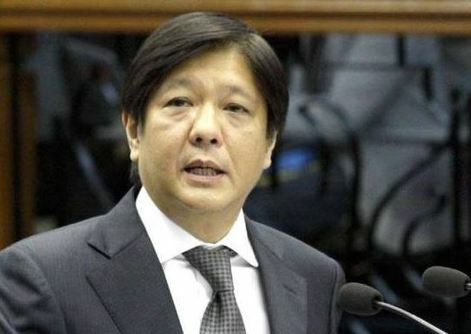 Vice President Candidate Senator Ferdinand “Bongbong R. Marcos Jr., is great challenger of himself, tough-spirit codified from his native roots, Ilocos Norte, northwest of Philippines.Each political term is associated of achievements and risks.He has outlined political faultlines and economic modernization for 25 years. Some of his policies and public projects in a number of government sector has implemented freely hence, the realization of most of his proposed bills neither controlled nor declined taken unnoticeably by cosmic world cavaliers in his own country. His distinct perspective broadened different sectors of Ilocos Norte government. Economic life had shifted the Ilocos Norte region.A good economic-life had started by his dear father, the late President Ferdinand E. Marcos Sr.It is in the nature of his life-approach, emphasizing the continuity of leadership. Some of his efficient-modernization projects potentially impact on technologies, energy,social, political, cooperatives, education,agriculture,tourism,environment, shelter, and local government.Countless of public infrastructures directly shifted the lives of millions of Filipinos. He affirms strongly that he has done his best effort but he has never admitted he achieved success.Many of his counterparts have achieved successfully the notion of blocking. Blocking have not gone away as numbers of his ideas blown by the intensity of cosmic and have fallen to numbers of cosmic fellows since early year of 2000 both from within in the island or off the island. Vice President Candidate Senator Ferdinand “Bongbong R. Marcos Jr. has distinct understanding of the phrase success. The structure, behavior, and notion have been undermined by the cosmic globalization and the changing cosmic cultural trend shape the word of success. The rate of success is maybe less than 10%, the risk and failure possibly rated to 90%. 24 Senators have scrutinized, analyzed and deliberated between 3,000-4,000 Senate bills filed each year.The selection of Senate Bills are decided by four fundamental key drivers of Philippines Senate.The Senate President, the Majority Leader, the Minority Leader,and the Senate President of Pro-Tempor. Collective-effort has adapted by him since he came back in his home land .By good-judgement either 17 or 18 senators had accepted less than 10 Senate bills that he authored, co-authored and sponsored and finally became Republic act of the Philippines out of over 100 bills he had submitted for 6 years in the Senate. 34 bills enacted into law out of 439 bills he had proposed during his terms as House of representative.The House of Representative is composed of a maximum of 250 Congressmen. He hasn’t considered point of success for long time. His utmost concern is safeguarding the life of his country men both opponents and real fellows.The rising threat of those pro-cosmic nations and pro-cosmic citizens is becoming more intensive. Thousands of unknown recipients have troubled him for long time.Cosmic could shift its position and dominance. Lots of cosmic cavaliers from the island of Luzon, Visayas, and Mindanao in both from government and business communities have intended on defeating him. Mostly from the beautiful isle (Yla Formosa) shaped like a leaf and its adjacent countries at western part of Philippines sea. Some dearly supported him from the fareast and northeast. If analysis of this matter is correct,then this man-made cosmic phenomenon redefined the national and individual identities worldwide.Creating new global patterns of cosmic economy and social exclusion; and suggesting new notions of human rights and responsibilities of citizenship. Anyone who believes that recipients of cosmic world remain in control of this life will always be very troubled. And the fact is, that the development of the future of cosmic world is now a global concern and must be troubling us all. There will be no competition, only Pinas Academy be the only English school online in the Philippines. Let these Foreign Embassies be removed in the Philippines.All spies, companies, embassies cooperating with KGB Russian government be removed. All companies funded by drugs money, N.B.I intelligence fund and funds from government be removed. All writers online,all advertising online, yahoo Philippines, face book Philippines, all south korean products, all chinese, all taiwanese products be removed in the Philippines, all information technology programming software developers be removed in the Philippines, except U.S.A information technology programming software companies.All online non-reliable online local news be removed except Philippine star, ABS-CBN. All foreign spies, ordinary people joined the Philippines National Election fraud be removed and sent out.